This week, Recreation North announced that the Community Recreation Leadership Pilot is moving from a pilot into a program. Launching across the territories in the fall of 2018 and winter of 2019, the Program will offer training delivered remotely and in-person to recreation leaders, including paid staff, volunteers, or individuals interested in entering the field of recreation. Participants can choose training that satisfies their professional development interests and strengthens their competencies for working and volunteering in the field of recreation. The Pilot, which began in October 2017, offered 24 recreation leaders from across the NWT, Nunavut, and Yukon, a choice of 16 learning events which covered such topics as programming, marketing, funding, risk management, and more. The first of the Pilot’s participants completed the requirements for their Certificate in Northern Recreation Leadership at the beginning of April. 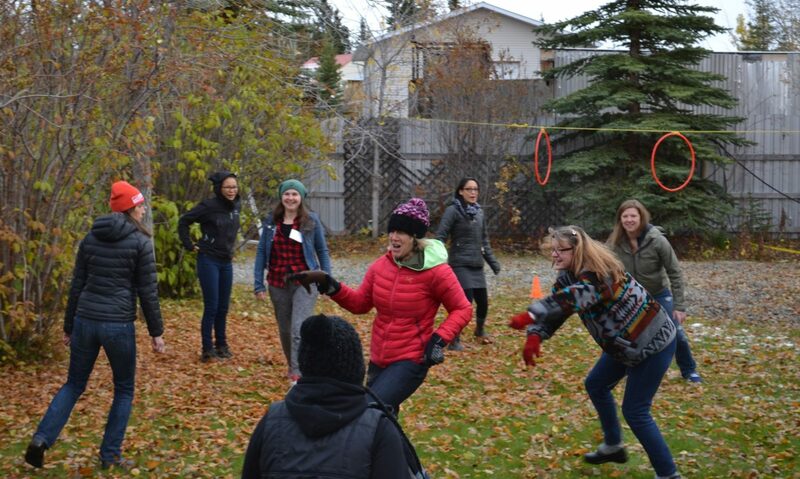 The Community Recreation Leadership Program was created by Recreation North as a new and innovative training program for emerging recreation leaders from rural and remote communities in Yukon, NWT and Nunavut. The Program is designed to enhance individual, community, and environmental wellbeing by strengthening local capacity for recreation in the North. Recreation North created the Program with a $600,000 Arctic Inspiration Prize awarded to the Project team in 2015. The Program is also made possible due to the support of the three territorial governments and local community. Recreation North is a tri-territorial partnership of the Recreation and Parks Association of the Yukon, the NWT Recreation and Parks Association, and the Recreation and Parks Association of Nunavut. It was established to provide training to strengthen the capacity of recreation leaders in Northern, rural, and remote communities.